The spices of Kerala date back to thousands of years in the history of the state. In the ancient times, Kerala rose to fame all around the world solely on the basis of the riches brought into the state, because of its monopoly over spices. Musiri, the ancient port of Kerala became the base of world spice trade, almost ages ago. It is sometimes said the Western colonization in India, was the attempt of the West to control the spice trade from the state. The arrival of Vasco Da Gama in India and its spice trade was the result of the same. Kerala is famed for the production and export of this one of the most sought-after spices, Pepper, which is also known as the 'King of Spices'. Today used all around the world, probably it is one of the earliest known spices. 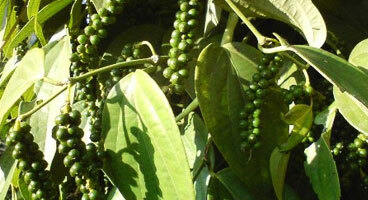 Pepper of Kerala reached Europe through the Arab traders. Europe saw great potential in pepper, and it brought trader, wars and the colonial rule to India. This spice is grown in both lowlands and high ranges of the state. It is also used for its amazing medicinal properties. One of the most highly prized spices, Cardamom is as old as the human civilization. This, 'Queen of Spices', is grown on slopes of the Western Ghats in Kerala, Tamil Nadu and Karnataka. 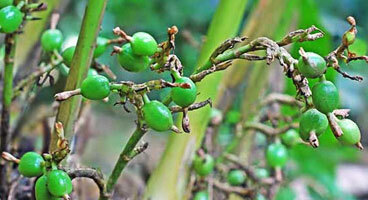 The cultivation of cardamom started in the southern region of India in the ancient times. The best variety of cardamom is found in India with amazing cultivation, processing techniques and aroma. Ginger can rightly be called the most important spices, which is also valued the most. This spice is used in a number of cuisines in the world. It is widely grown in Kerala. Ginger is used extensively in many dishes, pickles and fresh juices. It is also used in cakes, biscuits and cookies for flavouring purposes. Ginger also has medicinal uses. Turmeric is not only a spice that is used in cooking but it is also a cleanser for the human body. Turmeric plant is mainly used in the dried or powdered form. This spice is vastly used in Middle-Eastern and Asian delicacies and other spicy curries. Turmeric is also used to add colour in fruit drinks, cheese and butter. It is also used in Ayurvedic and Chinese medicines. The sweet and sour fruit of tamarind is also known as Indian Date. Though it originated in Asian and North African regions but it is largely grown in India as well. 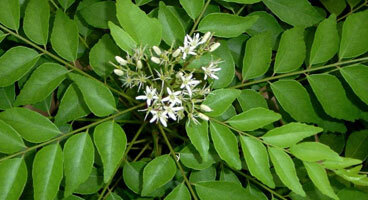 The trees of this spice grow excellently in tropical areas and Kerala is known for having a tropical climate. It is an important ingredient in a number of Asian and Latin American dishes. Tamarind is used in seafood, other non-vegetarian, cool drinks, snacks, desserts and vegetarian dishes. it has medicinal and other uses also. Curry leaves are popular for being highly aromatic and are used extensively in the dishes of South Indian cuisine as well as curries of Sri Lanka. Known as a spice and herb as well, a curry leaf is grown mainly in homes but on a plantation scale as well. Curry leaves are added in a number of South Indian dishes like Sambar, lemon rice, several chutneys, etc. used in the northern region of the country also, this spice is native to India.